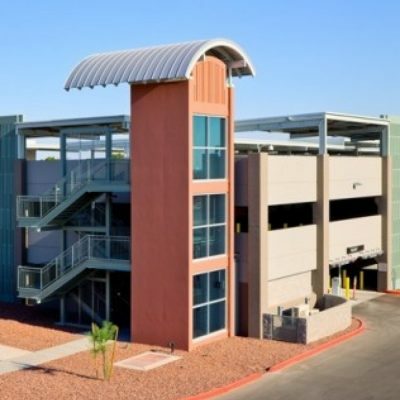 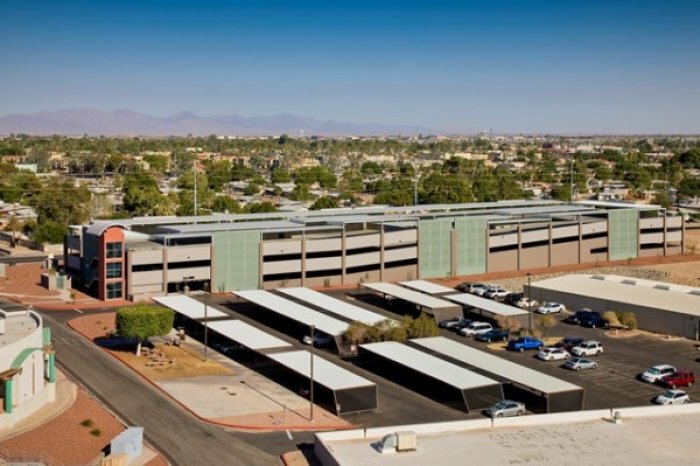 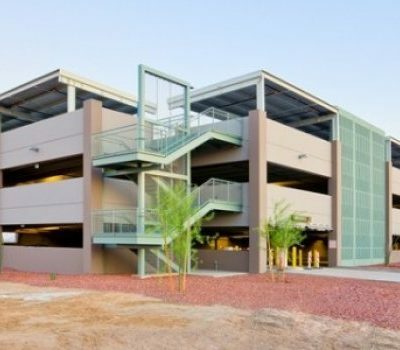 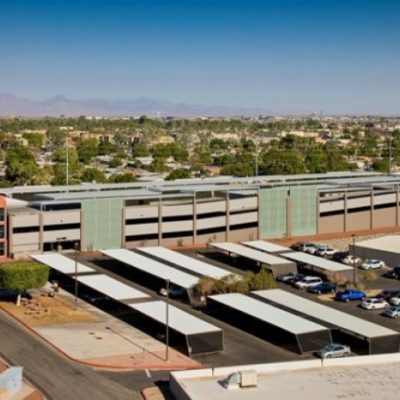 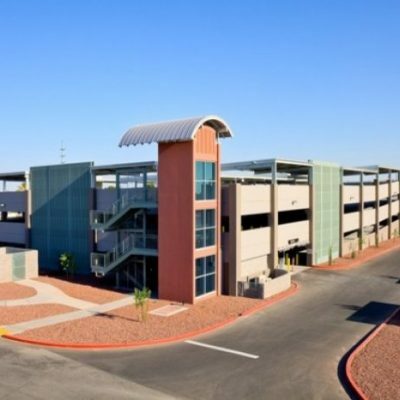 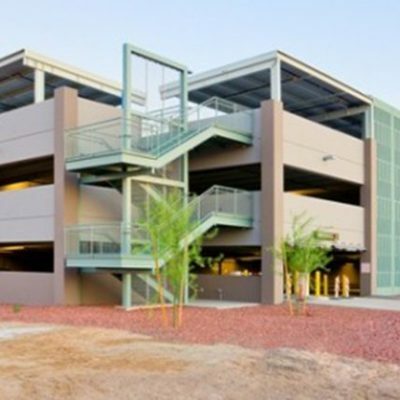 This 3-level 479 space parking garage is primarily reserved for employees and located immediately adjacent to the Support Services Building. 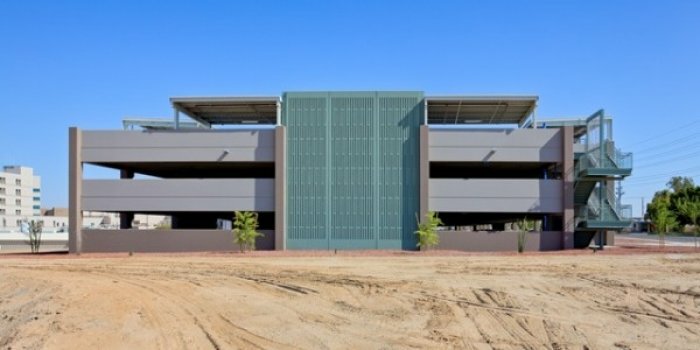 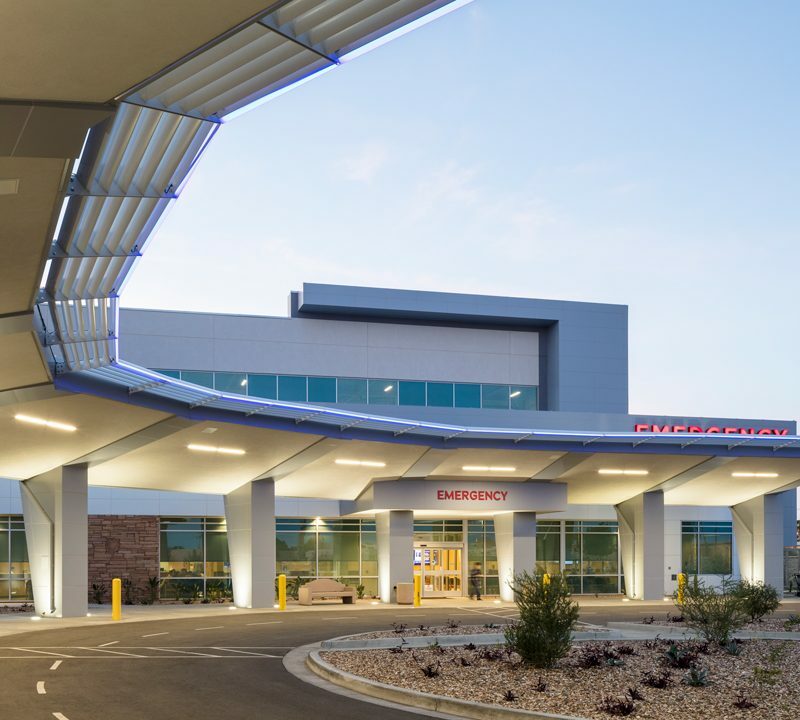 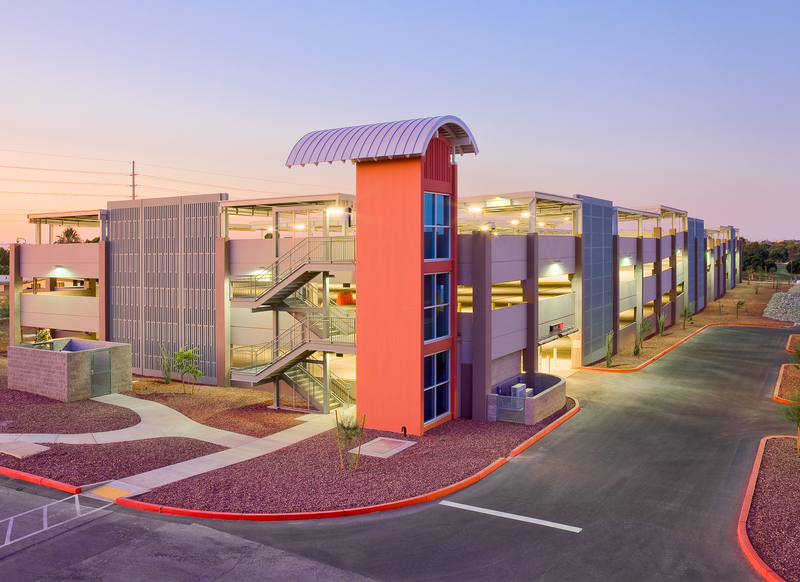 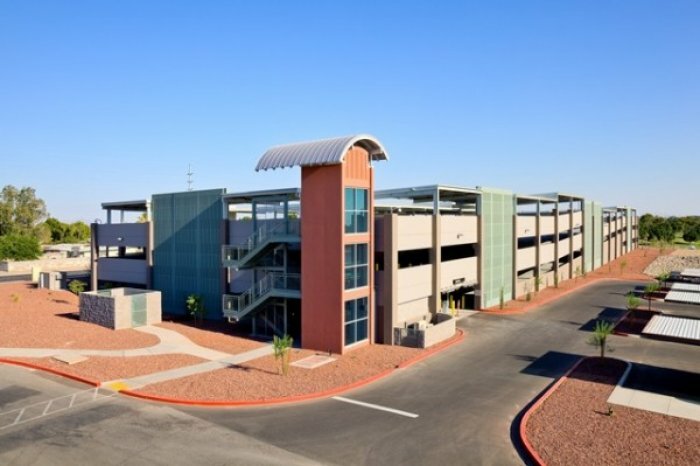 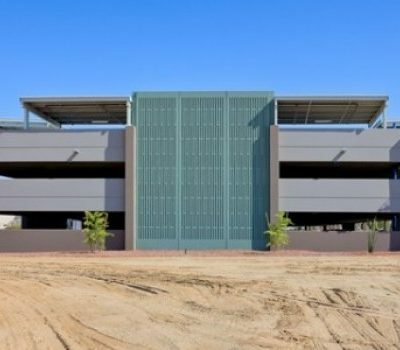 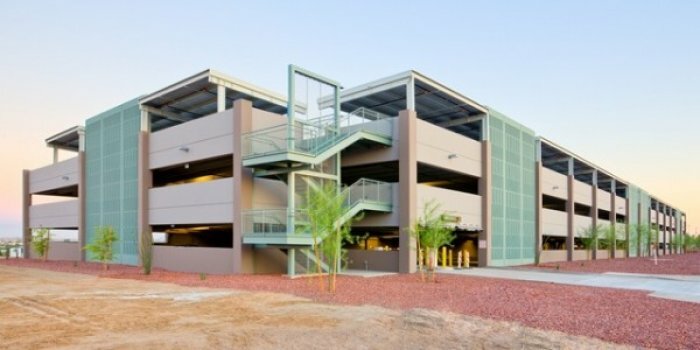 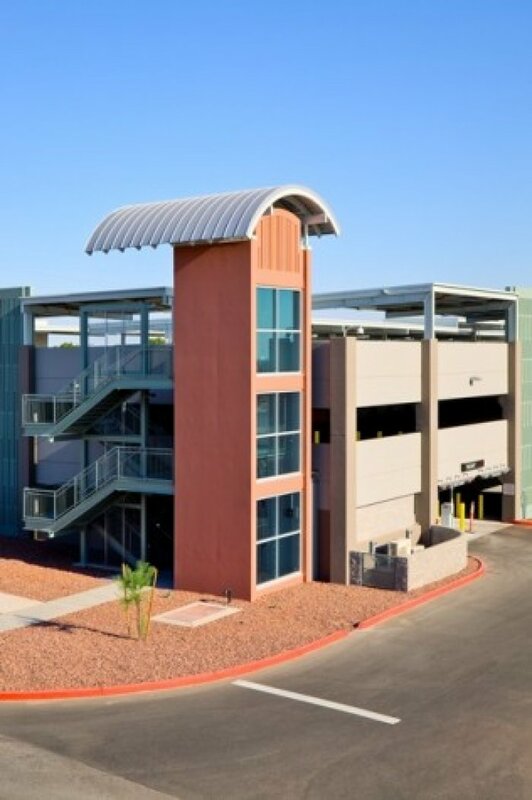 The garage included site development to accommodate ingress/egress, deliveries and pick-ups, and pedestrian circulation around the Support Services Building and parking garage. 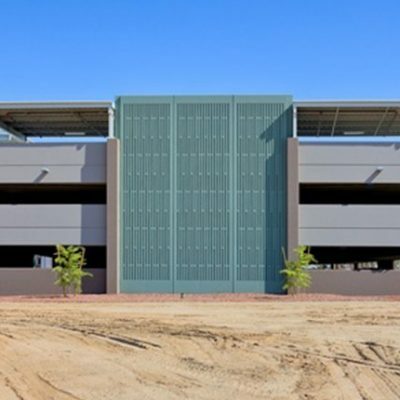 This was masterplanned for horizontal expansion. 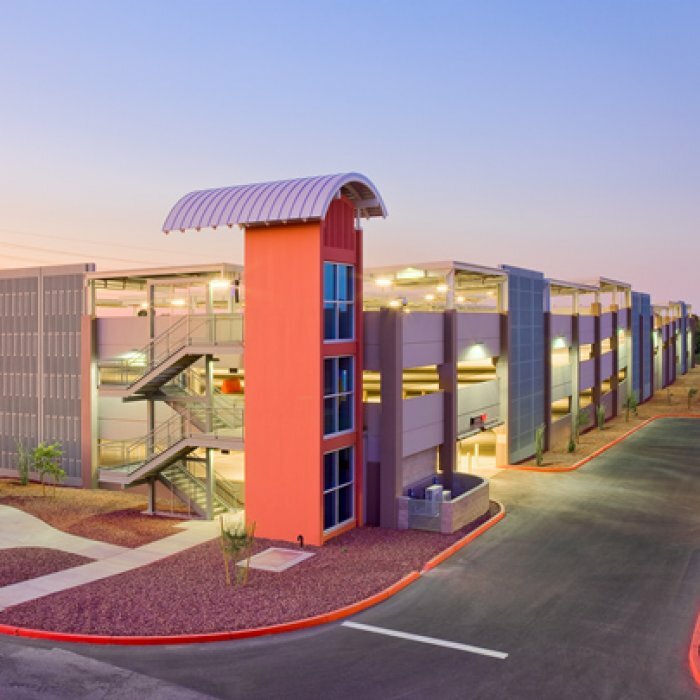 The garage integrates into the existing campus drawing elements from, and blending together, numerous varying architectural styles on the campus. 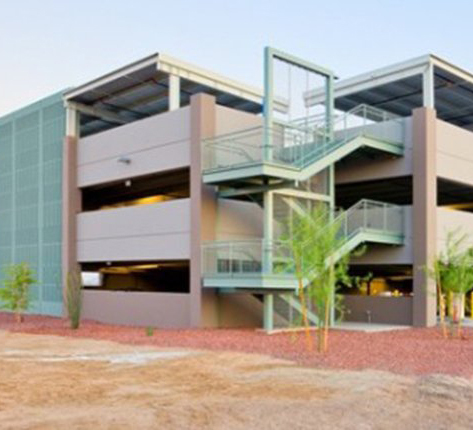 The structure is pre-cast assembly on spread footings with retaining walls provided as needed. 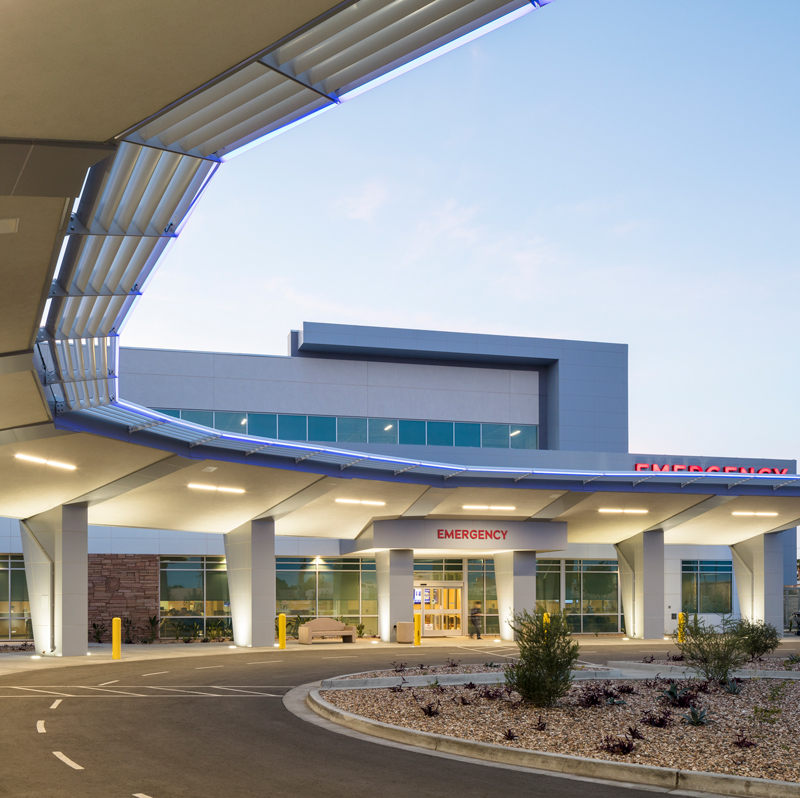 Consideration was given to unique soil conditons and the seismic zone four criteria.